Je rentre tout juste d’une formation de professeur de yoga au Québec, (je vous raconterai ca dans un autre article…) où j’ai eu la chance de rencontrer de gens extra ordinaires. On était assez surbooké sur le planning de la formation mais on a su garder le contact avec nos camarades yogis. Notamment Sonia, qui est s’occupe du bien être des animaux. Plus précisément praticienne en Reiki, en Bioénergie, en communication avec les animaux et acupression pour chat et chien. Vous pouvez retrouver tout son parcours et ses articles sur son super blog Gaya Energy For Pets. Sonia est française mais vit au Canada depuis plus de 10 ans, de ce fait, son blog et cet article sont en anglais. Elle nous explique les conditions de vie dramatiques et déplorables des Orang outans… tout ça pour fournir l’occident en Junk food! Si besoin, vous pouvez traduire l’article via Google Chrome. I’ve always had a special bond with animals and therefore animal welfare became an important cause for me early on in my life. It led me to study environmental management and Terrestrial and Marine biology. 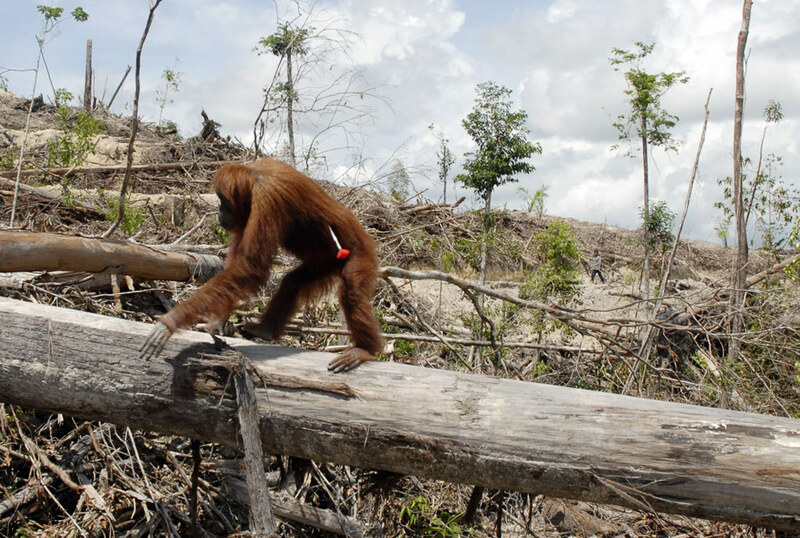 About 15 years ago, I learned about the devastating effects of the palm oil industry on primal forests and orangutans in the Indonesian islands of Borneo and Sumatra. I swore to myself that one day I would go to Indonesia and contribute to a project that aimed to protect these wonderful animals and their habitat. I also wanted to make sure I’d be able to see them before they become extinct as it will most likely be their fate by 2050 if nothing is done. I didn’t know when or how I’d manage to go, but that desire never left me. Finally, in the summer of 2015, the stars aligned, allowing me the opportunity to go. I believe that when something is meant to be, it’s amazing how things have the tendency to fall in place . My vacation request from work was approved. I had saved enough money, and deep down I felt it was important for it to happen at that particular moment. It was almost like a “now or never” feeling. I knew going there would be an experience both horrible and beautiful at the same time. On one hand, I was excited at the idea of finally seeing wild orangutans. But on the other hand I knew I would be exposing myself to seeing habitat destruction and animal abuse first hand. I arrived at Kualanamu International Airport in Medan, on the island of Sumatra and made my way to Gunung Leuser National Park, where we can still see wild orangutans. Orangutans are facing a number of issues but their number one enemy is deforestation which fragments and reduces their habitat, increasing the chance of conflicts with humans. Palm oil plantations are very profitable because oil palm grows very quickly and basically the entire fruit is utilized for many purposes. In a third world country, growing oil palms is a quick way to make money; sustainability is not really at the forefront of everybody’s mind although I met a few inspiring locals who work hard at raising awareness about environmental issues. Interestingly, Gunung Leuser National Park is located in the mountains of North Sumatra, which is not exactly the orangutans primary habitat. They live in lowlands and since oil palm grows in lowlands, they tend to be found in plantations where they’re considered pests. 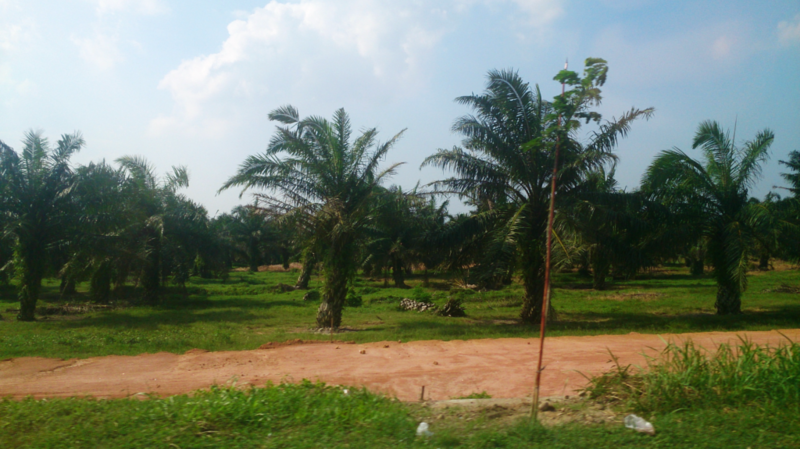 In addition to its impact on wildlife, the processing of the oil palm fruit is extremely polluting. I passed a processing plant, not far from the Park, and the first thing that hits you is the smell: it really stinks. Gas emissions produced contain high levels of methane which is a gas contributing to the green house effect. To add to it, the fires used to burn the forest for palm oil plantations release a considerable amount of carbon into the atmosphere. Lastly, since there are no regulations, waste goes straight in the waterways. Let’s not forget that people use rivers for showers, washers, and toilets so it is already polluted even before the palm oil waste. 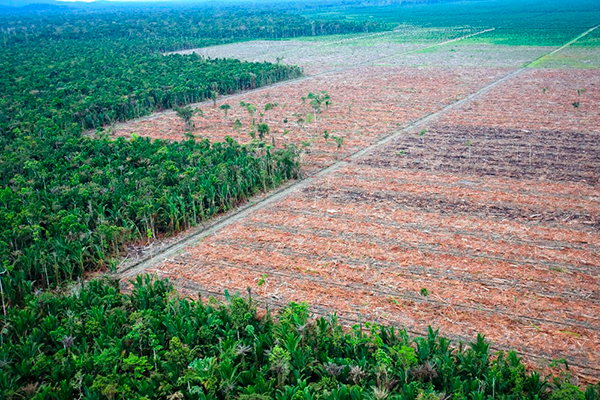 Most of the palm oil production is exported to Europe mainly as biofuel and to North America in the food industry mainly as a cheap replacement to trans fats which raised public health concerns 10 years ago. The Western world is the driving force behind the ecological disaster in Indonesia. Deforestation happens in the Park and not much is done to stop it. 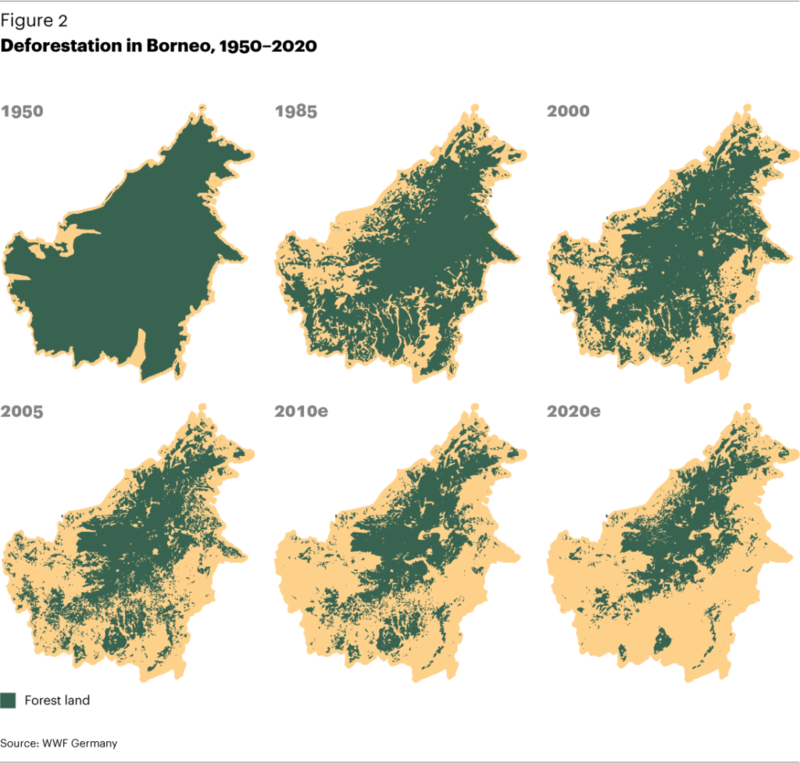 Last year, a major palm oil company illegally burned some land in Borneo (Kalimantan) and were sentenced to pay a ridiculously low compensation fee and to naturalize the area. However once the forest is gone, it is almost impossible to recreate the same ecosystem. In Sumatra, the primal forest is the only place on Earth where we can find the Sumatran tiger, orangutan, rhino (the most endangered of all rhinos as there are only 100 left) and elephants but their habitat is inexorably fragmenting with every passing second. 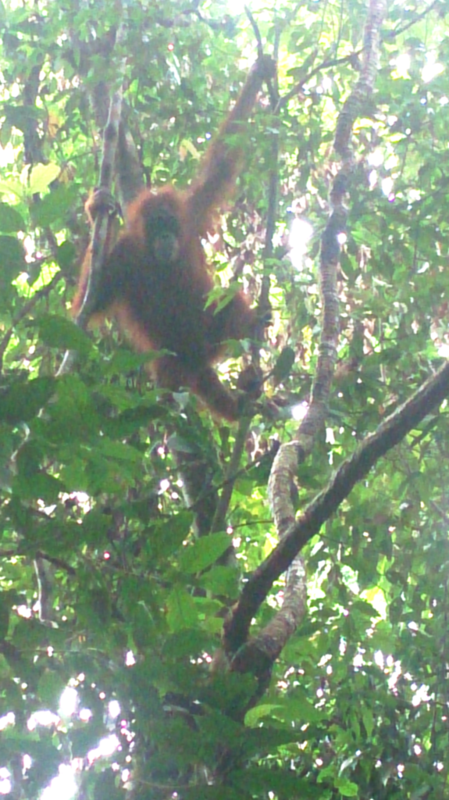 A shocking experience for me was to see semi wild orangutans in Bukit Lawang, North Sumatra. 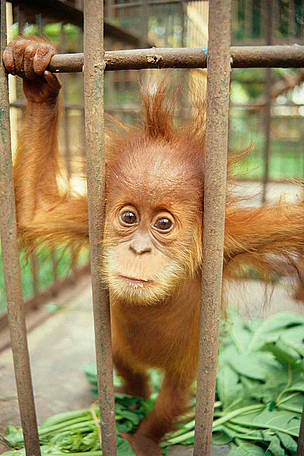 Those orangutans were originally rescued years ago from an organization that no longer exists. They now live freely close to the entrance of Leuser park and are cared for by the park rangers who feed them twice daily. These orangutans are too closely connected with humans and would be incapable of surviving on their own. First off, a major problem is their diet. In the wild, baby orangutans stay with their mum for about 7 years to learn which fruit and plants to feed on, the ones to avoid, and the plants to self medicate. Semi wild orangutans have lost that knowledge, particularly regarding self medication and thus are exposed to more diseases and parasites. As they reproduce, that knowledge is irreversibly lost, and consequently compromises even more the survival of this species. Secondly, I was shocked at how close tourists approach semi wild orangutans. They stay within a metre or two of the apes, snapping pictures with bright flashes, feeding and touching them and don’t follow basic recommendations for interacting with them. Orangutans are susceptible to human illnesses and if fed inappropriate food, this leads to sickness and even death. 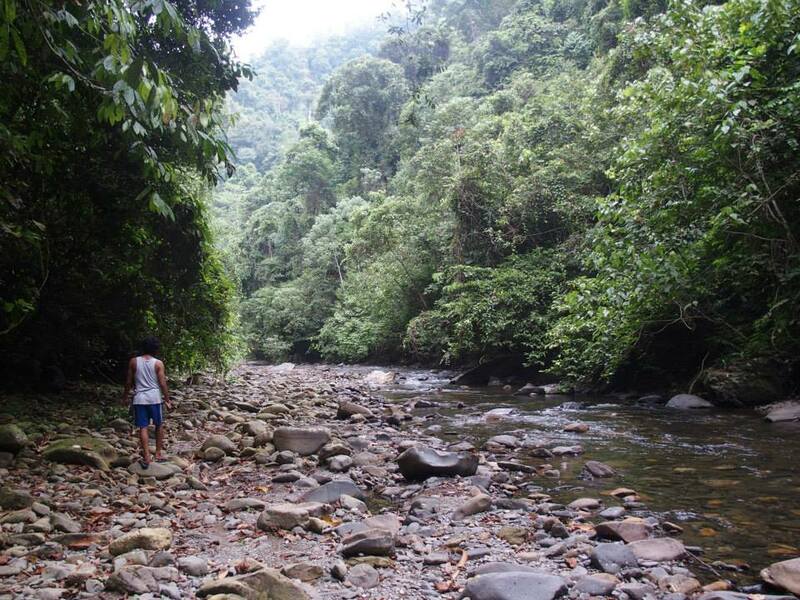 That being said, the tourist industry in Bukit Lawang is important because it fuels the economy and is critical in raising awareness, but a balanced approach is imperative. The palm oil industry is a very complex issue and I’ve just touched the surface here. Our planet is such a beautiful place that we must do everything (and every little thing helps!) to keep it healthy as ultimately what we do to the Earth, we do it to ourselves.